The interminable and passionate bond between Racing and Rugby League continues when training newcomer Todd Blowes takes on the Highway heavyweights in a $75,000 TAB Class 2 (1200m) event at Rosehill Gardens on Saturday. Todd, a former fearless lightweight first grader with the historic Queanbeyan Blues, horse breaker and trackwork rider, isn’t fazed by the opposition with his first series starter in unbeaten four-year-old gelding Noble Boy. “It’s probably as tough a Highway as it gets, but this big fella has the makings of a really good horse - we’ve been lucky enough to book James McDonald, so we’ve got plenty in our favour,” Todd enthused. “I ride him in work and I’m in a partnership with some of my old team-mates from the ‘Blues’ so it’ll be an exciting day. "It’s my first Highway starter but I’ve brought up runners before for Joe Cleary as I ride work for Joe, so it’s not unknown territory." 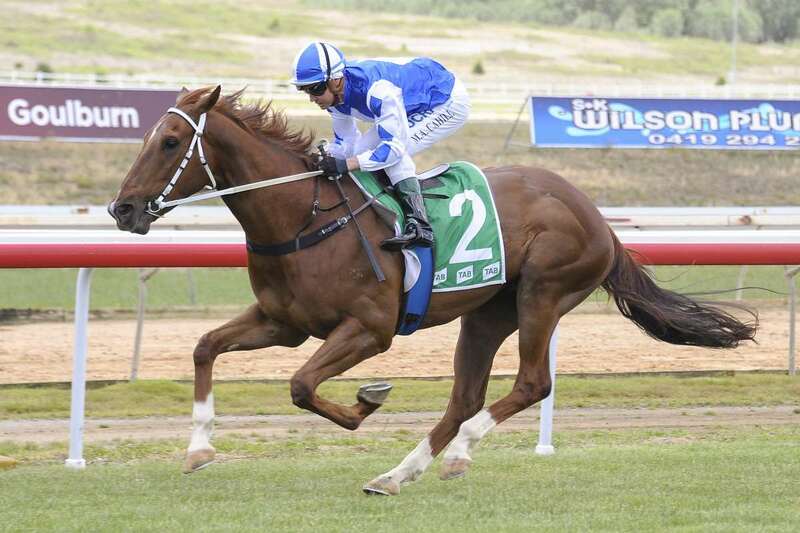 Noble Boy, an imposing Bon Hoffa gelding, has been unextended and strong in winning an Albury Maiden and a Goulburn Class 1 carrying 59kg. So Todd is confident the timing and race fitness is at a premium as Noble Boy drops to 57kg with a comfortable barrier six in a big field and an elite rider. And against the formidable presence of prolific series winners, Danny Williams, Matthew Dale and Terry Robinson. High profile jockeys Hugh Bowman, Kerrin McEvoy and Brenton Avdulla, make for a compelling episode. But certainly Todd won’t die wondering through the fierce competitive streak from his League days, invariably conceding weight to the opposition. Todd has been educated by highly-respected Country trainers Joe Cleary at Queanbeyan and Aaron Clarke at Braidwood. The Cleary family is an institution in Queanbeyan racing and Rugby League. Todd though has just one concern aside from the quality opposition on Saturday: “Being such a big unit, he’s not real flash out of the barrier and balancing up, so James will have to make an early decision. But we all know how well he does that and just how good has he come back to riding." In early markets, the Williams and Bowman combination with Coup De Main, Kurt Goldman’s Irish Songs, Nicconita and I Am Capitan, all with wet track credentials share favouritism in a wide betting episode.